What is the “What If” function? What is the “Planner” function? Can I see my grades in Degree Works? Will my transfer classes show up in Degree Works audit? Can I get official transcripts from Degree Works? What if my information in Degree Works isn’t up to date? Why can’t I view my audit? Why isn’t one of my classes meeting a requirement on my audit? Degree Works is a web-based system that lets students and advisors monitor progress towards degree completion. Degree Works generates a degree audit report, making it easy to identify the courses that are still needed to fulfill degree or program requirements. Currently, Degree Works is available to all students who currently attend or have been enrolled at one time from Fall 2010 forward. Advisors and selected staff also have access to support students in achieving their academic goals. The information is completely confidential and can only be viewed through secure employee or student log-in usernames and passwords. The What If function allows you to hypothetically change your degree, major and/or concentration to view what classes you are lacking towards a different degree plan. The What If audit will show you what courses are required for that degree, and which courses you have taken that satisfy requirements, and what courses you have left to take. Please note: using this tool, will NOT change your major. To officially change your major, you must fill out a form in the Office of Admissions. The Planner function allows you to work with an academic advisor to build a semester by semester plan, known as My Academic Plan or MAP, for graduation. If you complete an Orientation and Student Success course at the college, you will develop your MAP as part of that course and it will be kept in Degree Works Planner. If you did not complete a MAP as part of Orientation and Student Success, please visit the Advising Center and see an Academic Advisor to develop a MAP. No. You must complete a Request for Academic Program Change form in the Office of Admissions. Yes. Once your official transcripts have been received from other institutions you have attended and have been evaluated in the Office of Admissions, your transfer credit will appear on your audit. If you have transfer credits that you believe should be on your Degree Works audit, please visit the Advising Center on either campus and speak with an academic advisor. No. While you can identify classes you still need in Degree Works, you must register for classes in MyCalhoun “Register for Classes” option. There are many reasons why your information is not up to date. Degree Works is refreshed nightly- so if a change has been processed, such as change of major or registered courses, it may not show up until the following day. Or it could be that some paperwork has not been processed yet. It is recommended that you click on the Refresh button and then click the Process New button to see if your audit updates. You may have recently applied for admission and your application may have not been processed yet. New applicants should allow a few days for their records to be added to Degree Works. You may need to declare a major or update your catalog year in the Office of Admissions. If you need assistance determining what major to declare and/or catalog year you qualify to follow, please see an Academic Advisor in the Advising Center. There are several reasons why this might occur. The course may not meet a minimum grade requirement for your program. The course may not be recognized as equivalent to a required course. Or, it may be that all requirements have been met and this course is simply not needed. Incomplete Audit! – indicates your degree and/or catalog needs to be updated. 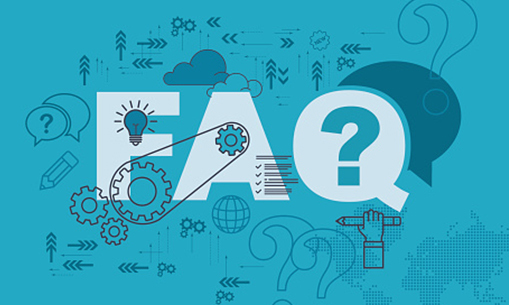 MAJOR block was not found but is required- indicates the major you are enrolled in or the one you selected on the What-If does not correlate with the degree you selected and match the catalog. CONC block was not found but is required- indicates the concentration you are enrolled in or the one you selected on the What-If does not correlate with the major you selected and match the catalog. For any other concerns, or if you need assistance with Degree Works, please see an academic advisor.